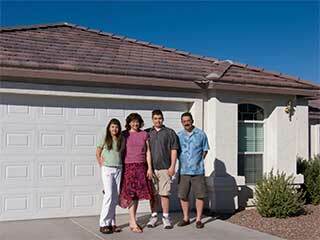 Every owner knows when the time for garage door replacement has come. When the system no longer works optimally even with fixes or when the panels look too old and tattered, it is time for a change. The major challenge, in this case, has to do with the selection of a new unit. You have to have a full list of requirements and a clear idea of what is offered before shopping. The first step is to measure the size of your current overhead door. This will give you the precise dimensions which you seek. The standard units are 7 feet tall but have considerable width variations depending on the size and capacity of the garage. The main width options range from 8 to 12 feet. The next step is to decide on the level of insulation which you require. Generally, the better insulated the unit is, the more energy-efficient the garage will be. It is best to do some research and to select a precise R-value range. This will help you to narrow down your search considerably. You should think about the aesthetics of the new unit as well. Do you want classic carriage door design or ultra -modern flush garage door panels? You have to decide whether to have windows or not. They are beautiful, but they will push up not only the initial cost of the unit but the maintenance and repair budget as well. The final preparatory step involves setting up a budget. You have to have a clear idea of how much you can afford to spend. You should also take into consideration the potential future returns. You may want to put more money in a unit which will reduce your energy bill and last for a long time with basic garage door maintenance only. You should have a clear idea of the different types of door materials. Wood is beautiful and sturdy but requires a lot of care. Steel has good durability and comes with a range of insulation options. It requires proper maintenance as well. Glass garage doors are practically weather-resistant and totally lavish, but their panels are at higher risk of breaking. They do not provide insulation. Vinyl has good weather resistance, aesthetically pleasing looks, and requires basic maintenance only. It is a smart choice for coastal areas. In relation to insulated units, pay attention to the number of material layers and the thickness of materials. While both polyurethane and polystyrene are used, the first material is preferred for its greater durability. It is time to go shopping.